"Alongside coming up with marvellous new shirts, at Charles Tyrwhitt we’re also masters of improving what’s practically perfect – refining classics to perpetuate their appeal. That’s the case with these Royal Oxford shirts. You know the weave (slightly open for breathability). Egyptian cotton, well, it doesn’t get much better. Wait! It does, too: it’s a Tyrwhitt shirt!" 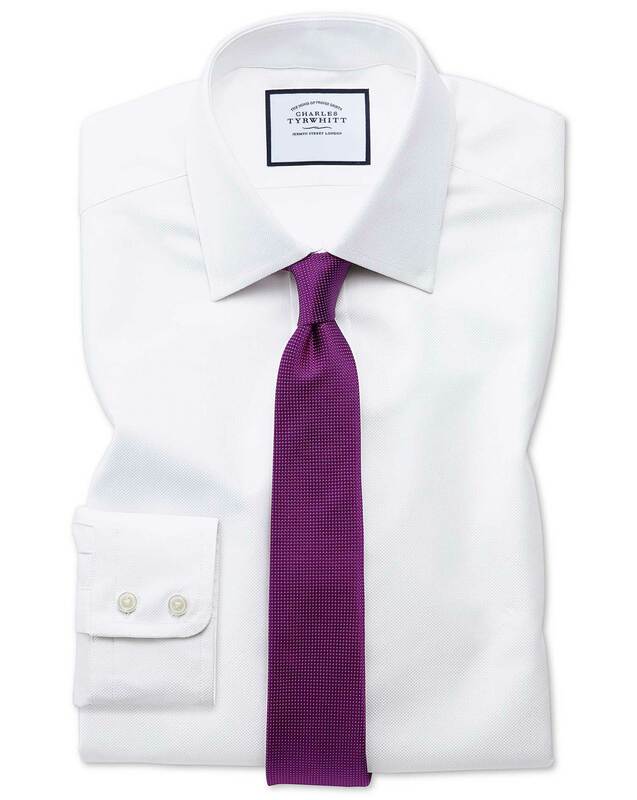 "Classic shirts made from 100% Egyptian cotton woven to a breathable, year-round wear Oxford fabric." Please choose a collar size. Don't know your size? Please choose a sleeve length. Don't know your size? Please choose a cuff type. Our Extra Slim fit shirts are our trimmest fit. Featuring slim sleeves and a tapered waist, these shirts sit close to the body and provide a smooth and modern silhouette. Back darts help the shirt align to the contours of your back, resulting in a smarter look with a fitted shape throughout the body (no baggy material around your back or waist). Extra Slim fit is great if you have a slim build, you like a close-fitting shirt, or you want a sleek and contemporary silhouette. Exactly what I wanted and delivered in a reasonable time frame.